What is a hosting plan? While we all see the value of producing fantastic content on our websites, sometimes the business of where we choose our website to live (ie our hosting company), is rather overlooked. 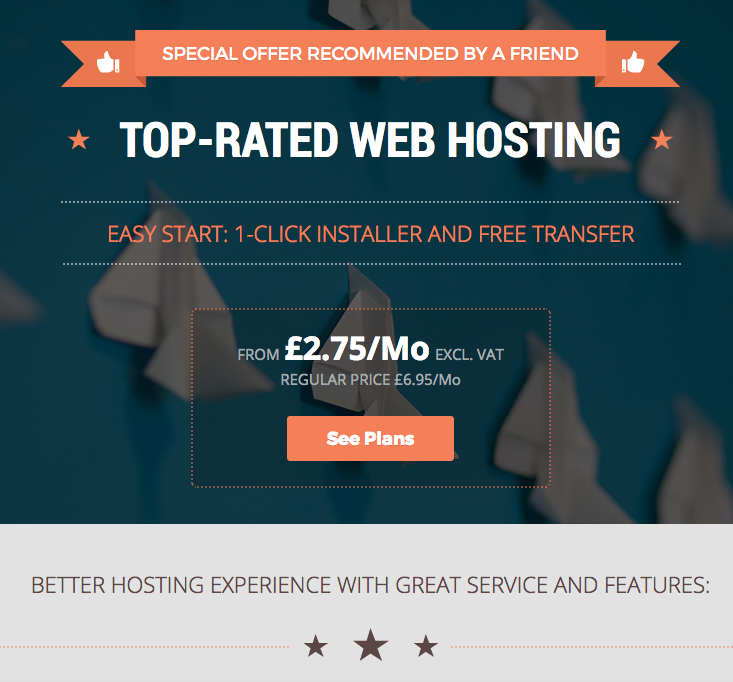 Reliable web hosting is a crucial part of building a robust website which is available 24/7. What happens if we make the wrong choice? Possible loss of revenue. It goes without saying that if people are visiting a website which is offline, it could negatively impact your ability to convert people to customers. Not only that, often your hosting company will be looking after the delivery of your business emails as well. If your website and your emails go down, you may not only lose credibility, but customers too. Negative impact on your search engine visibility. If a search engine is driving traffic to your website, and it repeatedly can’t find it, it’s likely to negatively influence your search engine ranking. Security. There are no guarantees when it comes to malware attacks, but your hosting provider should be taking definitive steps to lock down their servers against malicious hackers, and be taking daily backups of your site, so it can quickly and easily be restored in the event of an attack. Choosing a hosting provider without this service, and failing to take your own backup, could mean starting your website again from scratch, and being offline for weeks or months. So now that we have recognise how important it is to make a good choice with your web host, what kind of things should we be looking for in terms of features? What features should we look for in a web host? More than 99% uptime. Any less than that, and it’s not reliable enough to trust your website with. I would even go as far as looking for 99.5%. 100% is verging on impossible to guarantee. Excellent customer service. This company is going to be looking after a fundamental cornerstone of your business, so you want to be able to make contact with them. I always try out the support function before I make a commitment to a hosting provider. Try out the live chat, or call the support line and see what the service is like. I usually ask them how they would help me migrate a site over to them and see how helpful they are. Ability to host more than one domain. You may start with one domain name, but in the long run, you may want to include different domains for different services or programs which offer, and to keep things simple, it would be easier to have them all on one hosting plan. Cost. Price is obviously going to influence your choice. 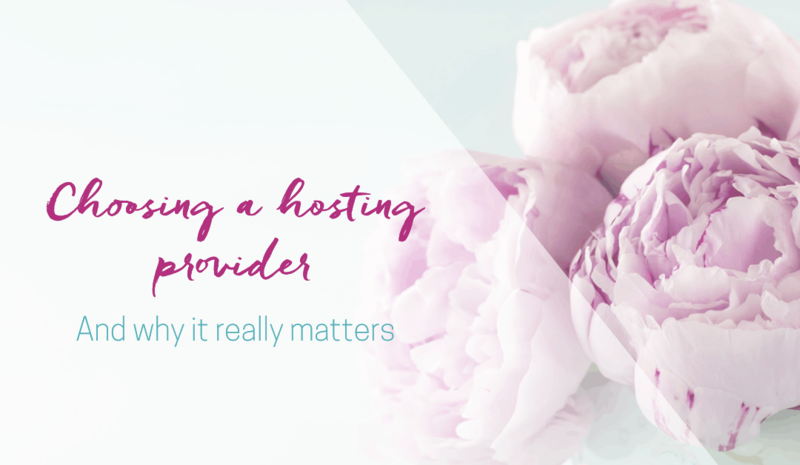 Be informed about what other providers are charging, as I have seen people paying WAAAAY too much for their hosting services. Keep in mind though, that you usually get what you pay for, so the budget plans may be missing some vital features, such as security and back ups. Basing your decision solely on price may be a decision you regret if your site goes down and you lose everything. SSL. Sounds really geeky, and it kind of is, but SSL stands for Secure Sockets Layer, and having an SSL certificate means that your website starts off https:// rather than http://. It also provides that green padlock in the browser toolbar which indicates that all the data passing from your computer to the server is encrypted. This used to only be important if you were taking online payments through your site, but is becoming increasingly important for search engine rankings. Some hosts will charge you a lot of money for an SSL certificate, but many hosts now provide a Let’s Encrypt SSL certificate which you can install for free. Specialisation. I now only use hosting providers who specialise in WordPress hosting as they configure their servers specifically for WordPress which usually means that they serve the pages faster and are familiar with any WordPress related issues which may arise. 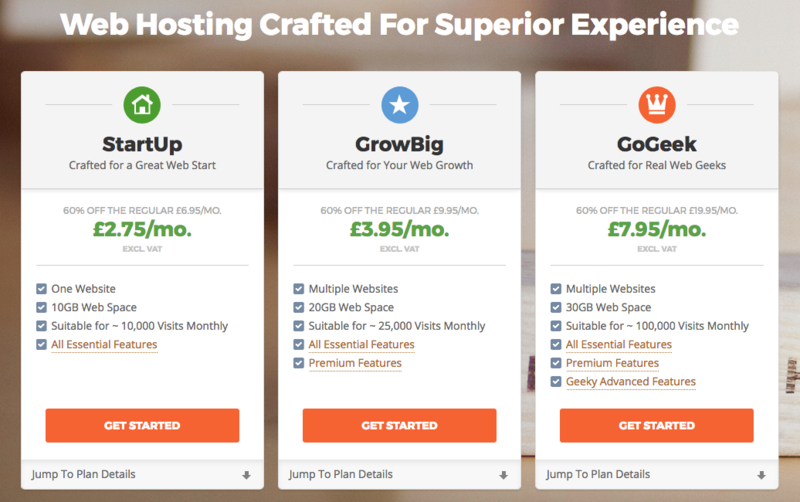 There are lots of hosting providers out there, and many of them do a really great job. I choose to use SiteGround for all my sites as they satisfy my checklist of features to look for in a host, and provide a great service. 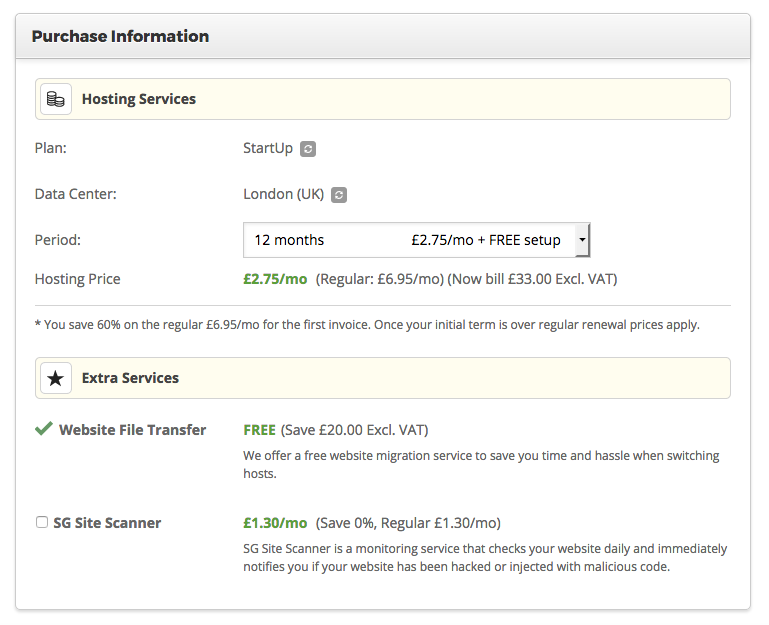 1) They are one of the few hosting providers recommended by WordPress.org. They also have a data centre in London. StartUp can host one website, it can handle up to 10,000 unique visits per month and has the first level of our SuperCacher plugin enabled which is static cache, 24/7 client support, free CDN, Let’s Encrypt SSL, Unlimited Emails & DBs, free daily backup, etc. GrowBig you can host multiple websites and this plan can handle up to 25,000 visits per month, 30 backup copies and free restore, all 3-levels of our SuperCacher, which aids loading time tremendously, technical support with priority, although we have insanely fast response times, our Grow Big and GoGeek clients are handled with priority, very important for beginner users. GoGeek can host multiple websites and offers even more space, can handle up to 100,000 visits per month, includes all features of the other two plans plus 1-click WP staging, free backup on demand, and fewer accounts on the server. 3) They are GDPR compliant so they comply with the new data privacy laws in the UK. 4) They offer amazing speed, security and support. When you visit SiteGround, click on the option to ‘See Plans’. This will take you to a page with 3 options. For most small businesses, the StartUp Plan is adequate. You can get started here, and upgrade later if you find that you need more space. When you click on ‘Get Started’ under your plan, you’ll have an option to purchase a domain name, or specify the one that you have already registered. 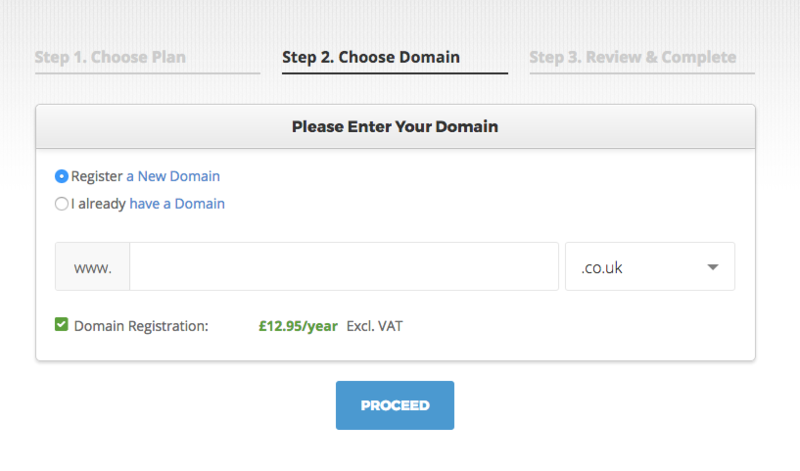 Check the ‘I already have a domain name’ option, and specify the one which you are going to use as your primary web address. Click ‘Proceed’. Choose ‘I don’t need help’ from the next screen. Fill in the client information and your payment information on the next screen to create your account. Under the ‘purchase information’, if you can stretch to include SG Scanner, it’s a very worthwhile service, as it scans your website for malicious activity and helps protect you from hackers. If it’s too much of a stretch financially, you will be fine without it it’s just a great safety net to have in place. Agree to the Terms & Conditions, and complete the purchase. Your hosting plan is now in place. You will receive a couple of emails from Siteground confirming your account details. Don’t forget to keep them safe! Now you have your hosting plan ready, and your domain name, we’re going to connect the two of them in our next post which talks about redirecting your domain name. If you’re struggling with any stage of the process, you can book a free 30-minute Website Jumpstart session with me to give you a roadmap of action steps to take to get you up and running faster.